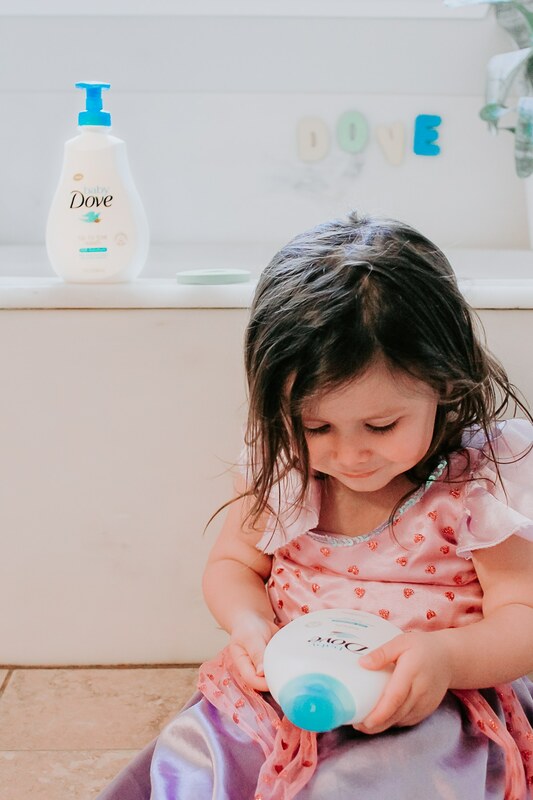 This post is part of a sponsored collaboration with Baby Dove, featuring our recommended winter skincare essentials for baby. I only write about products that work for my family and that fit in with our lifestyle. All opinions are honest and based on our experience with the products. Wintertime where I live in California brings cold, dry air, with little-to-no rain (because we’re still in a drought). I have a horrible time trying to take care of my own skin during the winter, and unfortunately my little Kendall has inherited my dry skin. For the past 5 years, I’ve relied on Dove skincare products for my own skin, and for the past season, have grown to love the Baby Dove products. In fact, they are now my #1 recommended winter skincare essentials brand for babies and toddlers. My daughter Kendall has had mild winter eczema since she was born. She was born on Halloween, right when the weather here starts to cool down, and her skin, like mine, just doesn’t know how to react. Every winter season, she breaks out in small itchy, dry patches all over her back and belly. They almost look like tiny scabs and feel rough to the touch. After doing lots of research, I’ve found that it’s important to use moisturizing products on her skin; products that allow her skin to breathe while still keeping it moisturized. Did you know that baby’s skin can lose moisture up to 5 times fast than an adult’s during a bath? 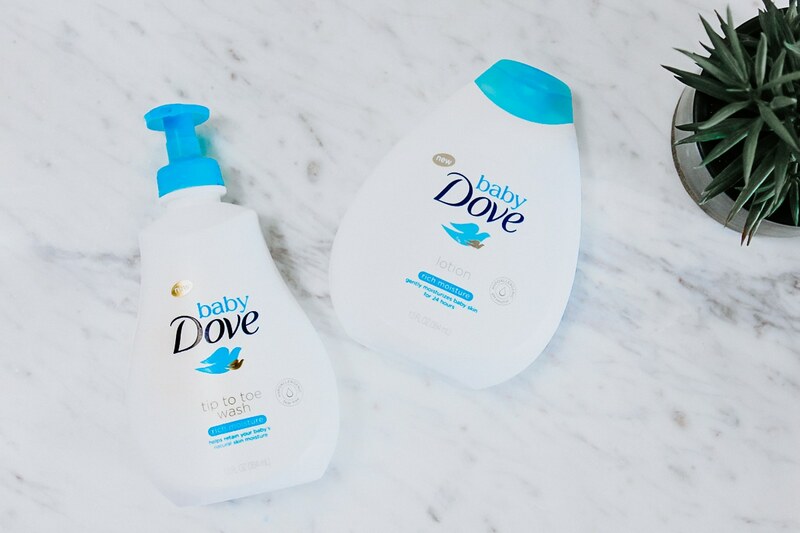 This can leave baby’s skin feeling extremely dry, which is why Baby Dove is a great choice for restoring that moisture. Baby Dove offers a range of skincare products designed specifically for babies, and Kendall’s skin seems to really love their products. Their products are dermatologist and pediatrician tested and hypoallergenic for all babies’ skin types. And I love that they are mild and replenish essential moisture and nutrients in my daughter’s skin. Baby Dove Rich Moisture Tip to Toe Wash and Baby Dove Rich Moisture Baby Lotion are the products that we have consistently been using, and I’ve seen such a positive effect on Kendall’s skin. Her skin no longer feels dry and rough, but instead feels moisturized without feeling greasy. Many of the products that we have tried in the past have been very greasy and end up getting on her clothing. 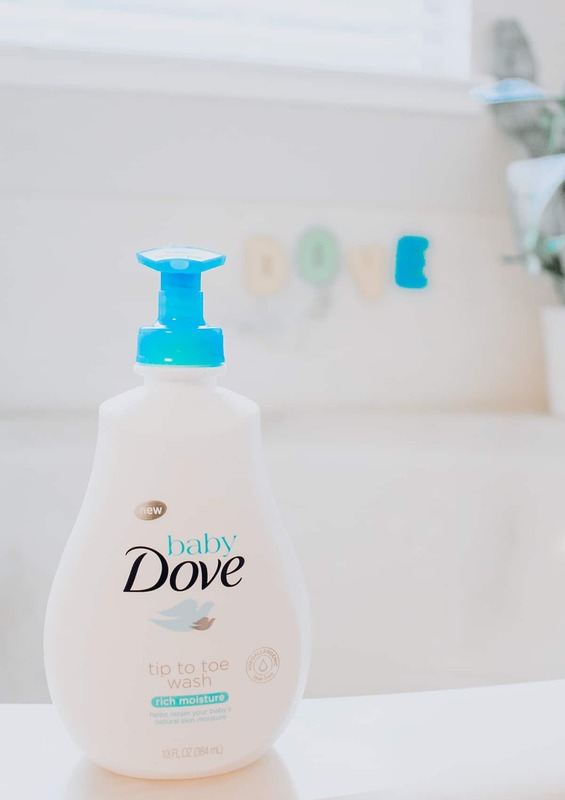 The Baby Dove Rich Moisture Tip to Toe Wash helps retain baby’s natural skin moisture using a combination of 3 mild surfactants for mild cleansing (Glycinate, DEFI & CapB). This tear-free formula is hypoallergenic and is pH neutral with a mild fragrance developed specifically for delicate baby skin. It also contains stearic and palmitic acid which help replenish essential nutrients and support skin barrier function, helping the moisture and nutrients stay in. I love the lather and that I can use it from head to toe on my daughter. My favorite product in the Baby Dove Rich Moisture line is the baby lotion. The Rich Moisture Baby Lotion gently moisturizes baby’s skin for 24 hours, and leaves their skin extra soft and delicately scented. I love that the lotion isn’t overly greasy, but still soothes dry skin even from the first use. 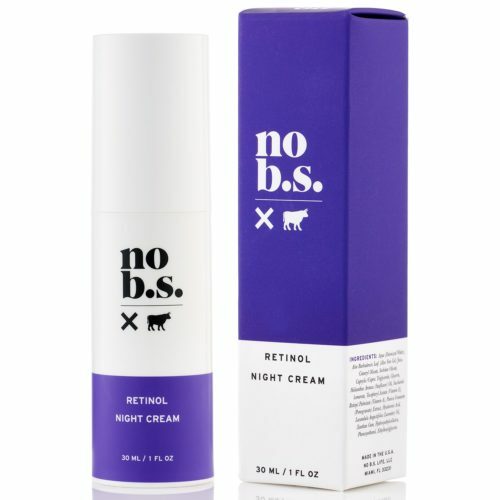 This product is hypoallergenic and pH neutral, as well as dermatologist and pediatrician tested. The Baby Dove range offers products for all skin types in its Rich Moisture and Sensitive Moisture ranges that goes beyond mildness to help replenish moisture and nutrients to protect the skin’s natural barrier. They have made a tremendous difference in my daughter’s skin this winter and give all parents a superior way to care for their baby’s skin. 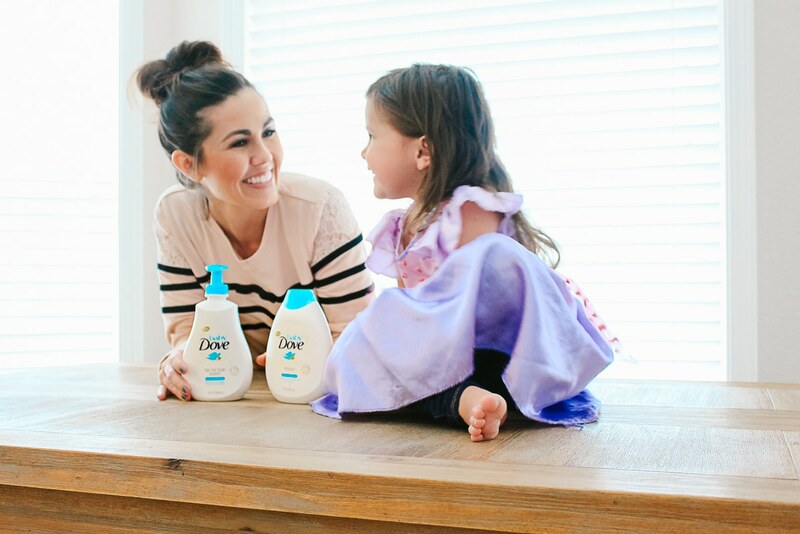 If you would like to learn more about our winter skincare essentials for baby, check out the Baby Dove products by visiting Dove.com.